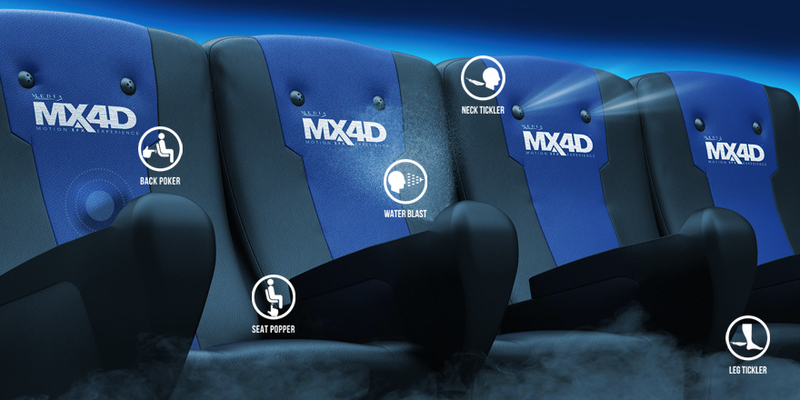 MX4D is an immersive cinema experience that lets you live and feel the action on the screen. Enjoy the adrenaline rush as your MX4D® seat rolls and tilts in a heart-pounding car chase. 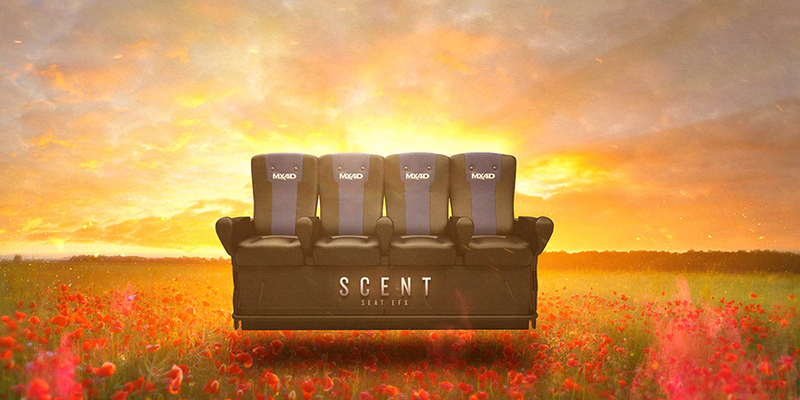 Immerse yourself in a sea-faring scene with fog, wind, and the scent of ocean air that allows you to "feel" the action on the screen from the built-in motion and effects in the seats and theatre around you. 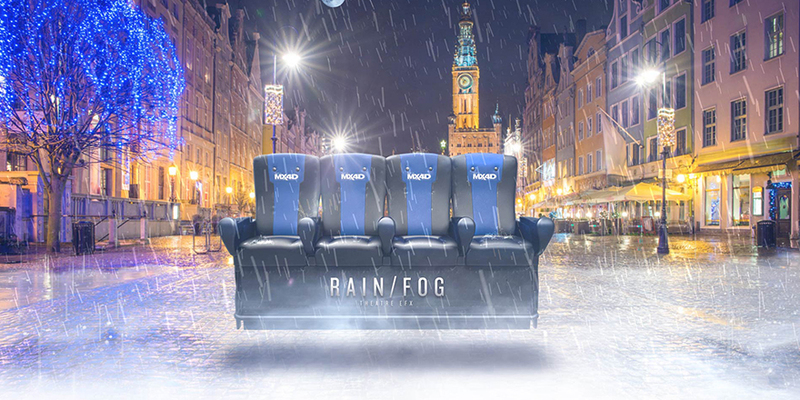 What can you expect at MX4D? A variety of latest blockbusters to choose from. MX4D is not recommended for viewers who are pregnant, elderly, injured, or have heart, back or spinal conditions, and those with motion sickness, epilepsy or other sensitive conditions. Please check the classification of the movie. The age restriction must be complied with for entry.